The Independent Church of India (ICI) is an evangelical church, headquartered in Churachandpur, Manipur, with a mission to propagate the Gospel across the Indian sub-continent with a major emphasis on the North Eastern states of India. The Independent Church of India is working in the strategic state of Manipur and its neighbouring states of Assam, Mizoram, Meghalaya and Tripura. The ministries and missions work of the Independent Church of India is mostly concentrated among the various communities living in the diverse regions of North East India. The Independent Church of India was founded by Watkin R. Roberts, a Welsh Presbyterian missionary on February 5, 1910 at Senvon village in the southern part of Manipur state, India. Since its inception, it is an indigenous, self-supporting, self-propagating and self-governing evangelical church. The Independent Church of India secretariat is located at Sielmat, Churachandpur, Manipur, India. The Independent Church of India is Presbyterian in form and organisation with reformed faith. 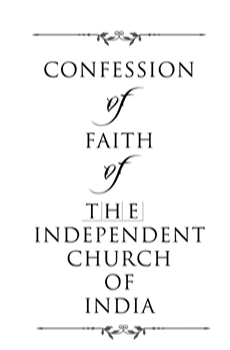 The church statement of faith is incorporated in its constitution. The Independent Church of India is a member of the Evangelical Fellowship of India (EFI) which is affiliated to the Evangelical Fellowship of Asia (EFA). It is registered in Manipur state as a religious, philanthropic and charitable institution through the registration number 47/SR/61-62. It is also registered under the Foreign Contribution Regulation Act (FCRA) in 1976 with the registration number 194160018. This FCRA registration enables the church to receive donations, gifts and contributions from individuals and mission agencies from different countries of the world. The General Assembly of the Independent Church of India is held annually and is the highest apex body of the church. The Assembly appoints a Moderator and Assembly Secretary for a period of one year. Next to the General Assembly is the Executive Council of the Presbyteries and Mission Fields and meet twice a year. The Secretariat Office is headed by the Executive Secretary assisted by a team of three full time departmental Secretaries. The post of the Executive Secretary is three years and is elected by the General Assembly. The Executive Secretary is the administrator of the Church and consults with other Secretaries through the Secretariat Meetings. Each Presbytery Secretary is assisted by elected members of the Presbytery Standing Committee.